The Oscar winner A R Rahman is the part of this movie as a music director. The movie is expected to hit the screens this November. It really a very great treat for Rajini fans. Rajini is the Tamil cine Super Star having massive fans globally. Deepika Padukone and Jackie Shroff starring with their presence in the movie. Reports say that movie is made with the budget of over Rs.125 Crore. 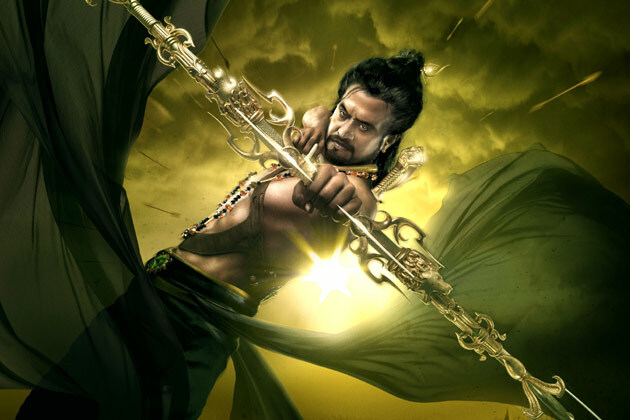 Other stars playing important roles in Kochadaiyaan are Sarath Kumar, Aadi, Nassar, Shobana and Piniseety. Kochadaiyaan seems to fall in the movie lines of Tin Tin and Avatar and is considered to be the first Indian motion capture technology film. Its expected to be dubbed and released in other languages at the same time. In telugu its going to be released with the name of “Vikrama Simha”. Its also expected to be dubbed in Malayalam, Hindi and foreign languages like English, Spanish, Japanese and Italian. The director and the daughter of Rajinikanth, Soundarya says that its really a gift to direct her first movie with his father and Super star Rajinikanth. She also added that she is great fan of Oscar king A R Rahman and its her pleasure to work with both in her first movie. Deepika Padukone is only dubbing for Hindi version of Kochadaiyaan and in Tamil another person is making her dubbing as she has not fluent exposure to Tamil language. It seems after twenty years, Super star Rajinikanth have rendered his voice for the theme song of Kochadaiyaan “Ethirigal Illai” composed by Oscar king A R Rahman. It’s a much awaited movie for a so long time which have pre-planned to be released in November 2012 and now says to be released by November 2013. There is no official confirmation about the exact date for Kochadaiyaan to hit the screens but its expected by this November. Its going to be different movie in Indian cinema and that too in 3D animation. The fans of Super Star Rajinikanth are waiting for Kochadaiyaan to hit the screens as a Blockbuster movie in a different phase. This first teaser of Kochadaiyaan is enjoyed by Rajini fans globally. Super star Rajinikanth is the only actor to act from Black & White then to color screens and now in 3D animation screens. Readers can share your views of Kochadaiyaan and its teaser in comments.